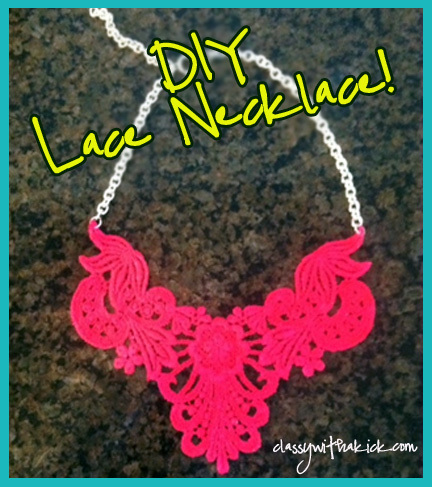 Classy with a Kick: DIY Neon Lace Bib Necklaces and a Giveaway! I am a dreamer when it comes to art/design projects. I envision myself only wearing clothing that I design. I believe my entire house should be decorated in original paintings that I paint myself (I have yet to paint one painting - FYI). I also want to wear only jewelry that I create. I think this stems from my desire to be original and a trendsetter. Being a trendsetter doesn't always mean you thought of the idea yourself and have rights to the original concept; it means you can be influenced by something and then share it with others. You bring it into YOUR circle even if it already exists in other circles. Recently, I came across this pin on Pinterest and fell in love with the necklace (actually the whole outfit is pretty fab...). 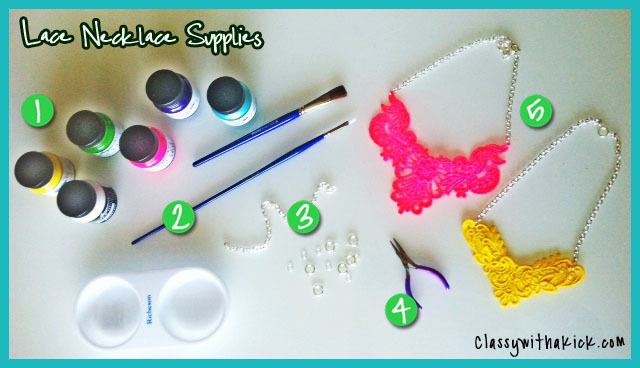 I then did a search for lace necklaces on Google, found this blog post on In Honor of Design and got inspired by how easy it is to create yourself. I immediately went out and got my supplies and got to work. 1. Fabric Paints - make sure these are permanent! 2. Paint brushes - I used a medium and a small to get into the little spaces! 5. Lace appliques - I got these from local fabric store, but ordered some new ones from this Etsy store. 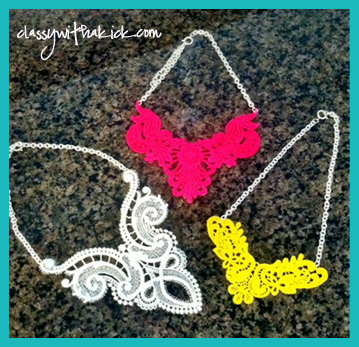 Within a matter of minutes (well, hours if you count drying time & painting on both sides), I had these fab lace necklaces! I am now so addicted that I want one in every color! 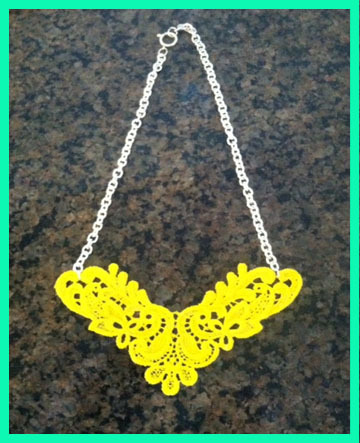 I even have more lace in the mail and a slew of fabric paint colors ready to go (think Coral, Mint, Neon Green, Orange, etc)! 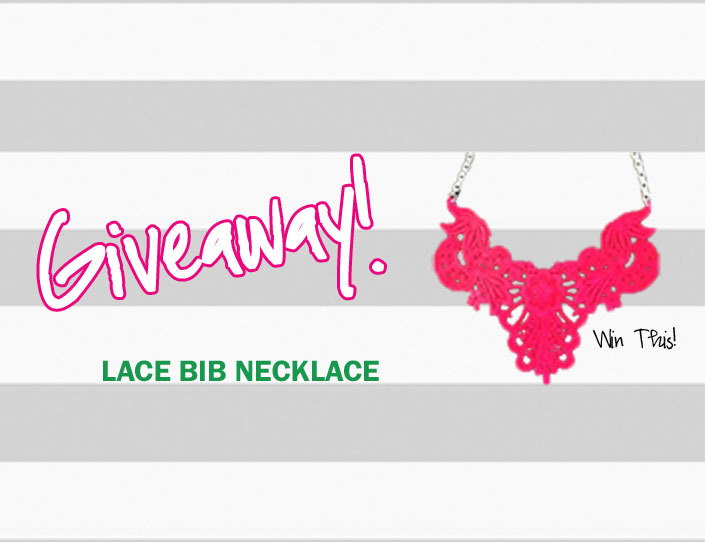 Because I am going to be necklace making machine, I had a thought to do a GIVEAWAY for one lucky reader! My first one!!! I'll pick a random winner early next week so you have all week/weekend to enter! I would like to win the pink one!!!! I plan to wear it with a pleated royal blue dress i have and love and neon yellow pumps! 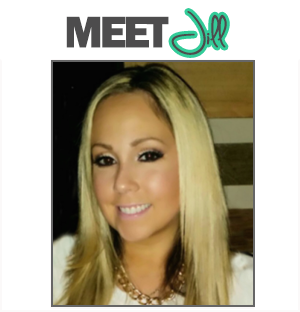 Hi!... 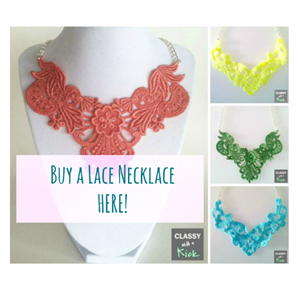 I loooove these lace necklaces! they are lovely! I did aaaaall of the above so I wish I win one! I love the white one, and I will wear it with a new lilac blouse I just bought! 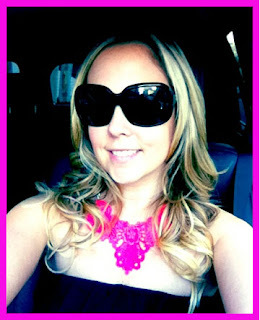 It will be the perfect compliment with jeans and some pumps! Hi girl! 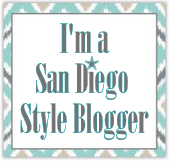 I pinned the necklace to my board, followed you on Twitter, FB and Bloglovin! 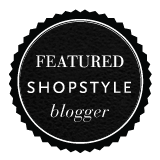 I ADORE the turquoise one, and would definitely rock it on my blog in one of my outfit posts!